We decided to check out the new Food Market on the Williamsburg Waterfront, called Smorgasburg, yesterday afternoon. The market comes from the same people who brought us the Brooklyn Flea and it is in the new outdoor location for the Brooklyn Flea on Sundays. There is a wide range of food vendors, some serving unique prepared food, including some of the same vendors that frequent the original Brooklyn Flea, as well as booths of the more standard Greenmarket variety. All vendors are from Brooklyn or from just outside the city, making it a feast for locavores. And with a great view of the East River and Manhattan, it makes discovering new and interesting food an interesting way to spend a Saturday while still enjoying the summer air. Check out our video slideshow below and read the NYTimes article to find out more! 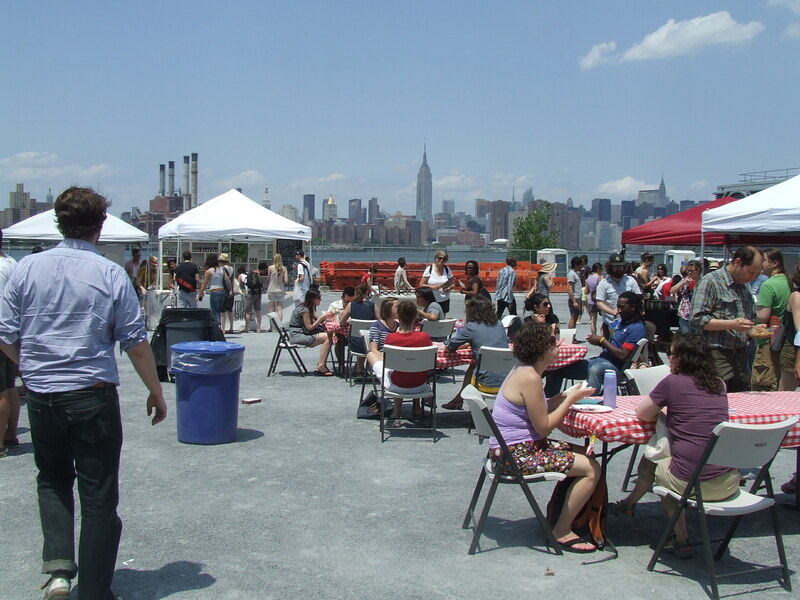 Last week was the first week of the Smorgasburg, it will be at the Williamsburg Waterfront all summer.